I wish you could really tour France with me! 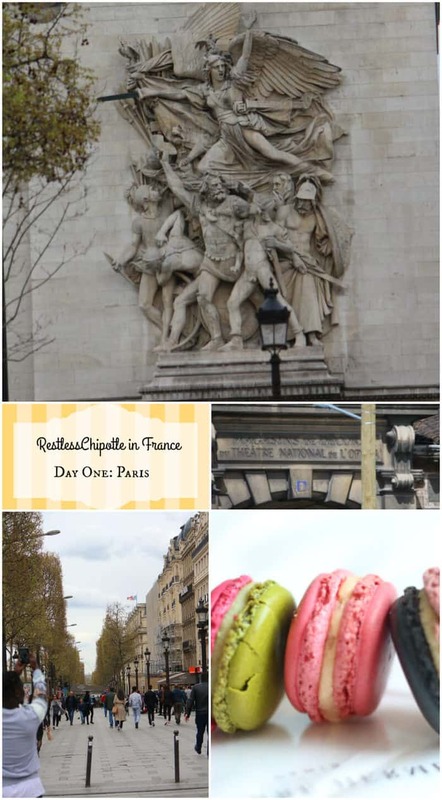 I promised y’all that I would post about my 10 day trip to France in April and here is the very first post in the series. What I’ve decided to do is to take some of the foods that I ate in France and recreate the recipes along with some of the images of the area and what I was doing that day. This is sort of the introduction to all of it so no recipe today. I ‘ve wanted to visit France since I was in elementary school. The food, the history, the language… all of it just fascinated me. There was no doubt in my mind that I would tour France someday. I pretty much had given up on that dream because of circumstances in my adult life (note: never give up on your dreams!) and so, when I went through my divorce at age 50 I was very sure it was never going to happen. Well, y’all probably know that I remarried a super nice guy who made it his mission in life to make all of my dreams come true. From the time we got together he talked about taking me to Paris for my birthday but finances and time just never quite meshed. In February he told me that we were going this year, leaving on the 13 and coming back on the 22. I would be spending my birthday in Paris! He had booked a tour that would take us in a circle from Paris through Giverny, Rouen, Honfleur, Deauville, Normandy landing beaches, Bayeaux, Mont St. Michel, Rennes, the Loire Valley, and finally back to Paris. I was a little hesitant because I am very shy and definitely an introvert. I do fine typing, texting, and building relationships online but in real life I ‘m uncomfortable around people I don’t know. I had nightmares about having a PTSD flareup, or doing something so stupid that the State Department issued statements that they weren’t responsible for my actions. My other concern was that I wouldn’t get to do the things I wanted to do — I imagined it as a 10 day kindergarten class trip. I am happy to say that none of that happened. On the trip there was only one person who reminded me of a difficult person in my past and I was able to stay away from him for the most part. Honestly, my fears were groundless. I met a few people I really liked a lot. In fact, I would definitely encourage anyone planning to tour France (or anywhere) for the first time to take a guided tour. It was wonderful to get on the bus and just enjoy the scenery moving past the window. Our tour director/guide was very knowledgable about France and she was able to share bits and pieces of history that I hadn’t learned about. She, and the other temporary guides we had in specific places, made everything come alive. I don’t think we would have enjoyed the trip as much on our own. When we arrived at the airport we were met by a driver who took us to our hotel. Once the luggage was in his van we basically had no responsibility for it until we left for the airport to go home 10 days later. Every time we went to a new hotel the suitcase was left just outside our room. The mornings we left to head to a new destination we just placed our packed suitcase outside the door in the morning and it was loaded onto the bus. The hotels were all paid for as part of our package and many of the meals were, too. A few of the tours were paid for separately but most were also part of the package. Do take extra cash, though. At the end of the trip you are expected to give the driver and the guide a tip based on a suggested amount per day. Although I was very fluent in French in my younger days it had deteriorated to the point that I could read it but communicating was difficult. I did practice online for a few weeks before we left and it helped some. Still, most everyone we met spoke reasonably good english and by the time we left I was able to speak well enough to make myself understood. If you don’t speak french don’t sweat it — you’ll be fine. Just enjoy your vacation in France and don’t worry too much about how you are murdering the language. 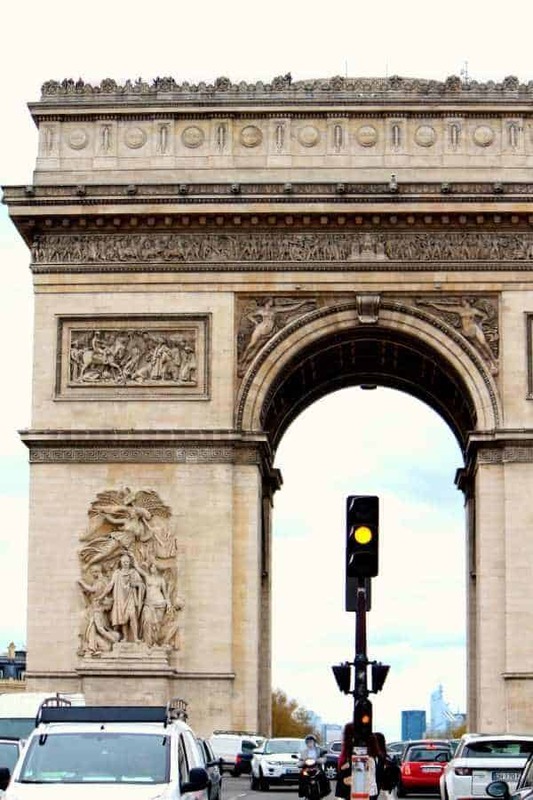 Arc de Triomphe – it was a tough picture to get. Totally took my life in my hands. LOL! My husband had been to France before so he was experienced in getting around. We’d arrived a day early and had an entire two days to ourselves to explore Paris. We bought subway passes that allowed us unlimited travel for 2 days. We could go anywhere and it was no big deal if we got on the wrong train, we just got off and got on the right one. Several people told us at different times during the trip to be careful of pick-pockets but we never had a problem. The closest we came was when a woman came to ask us to sign a petition. Apparently one will have you sign and the other will pick your pocket while you aren’t paying attention. We couldn’t understand why someone would want us to sign a petition in France so we just told them no. 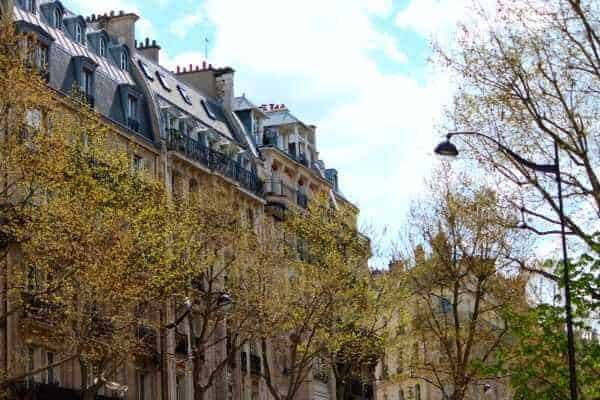 It happened a couple of times, mainly around the Eiffel Tower and on the Avenue des Champs–Elysées. The subways are full of graffiti – which is beautiful if you like that kind of thing. I do. I was fascinated by all of the graffiti in the most out of the way places — high on buildings, along subway tracks, and places where the artist must take his life in his hands to express himself! I love architecture so you’ll see a lot of it in my pictures while we tour France, plus random countryside — which was beautiful! 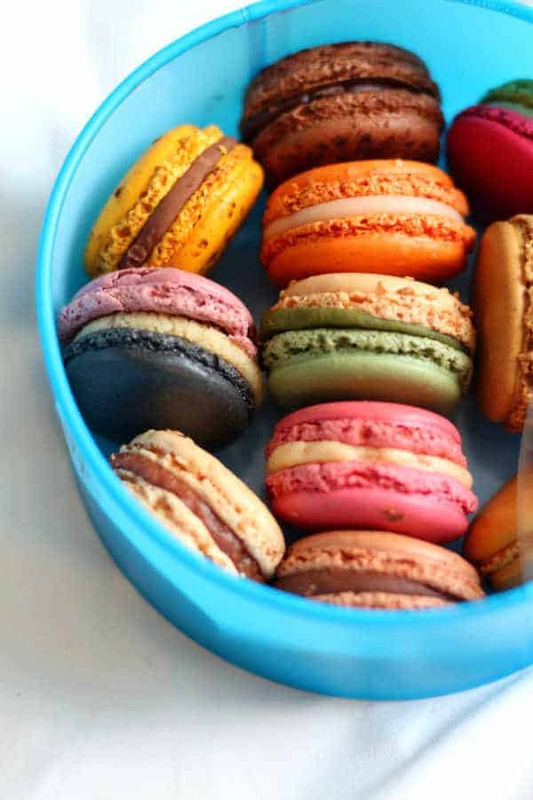 Macarons from the famous Pierre Hermes in Paris. One of the first things I bought! Check with your credit card company to see if they add a fee for overseas transaction. Also let them know that you’ll be in Europe so they don’t freeze your card for suspicious activity. Citibank was the card we used the most because there were no foreign transaction fees. Try to get most of your money exchanged while you are in the US. There are places to exchange currencies in Paris but the commission they charge can be pretty high. Almost everywhere takes Visa or American Express. Take a couple of different cards to ensure you have one they’ll take and take enough currency to cover the times you’ll need cash. Check the weather for the time of year you’ll be traveling. After you decide to tour France do some research online and make a list of where you’d like to go and what you’d like to see. There is SO much to do in Paris alone! Your hotel may or may not have WIFI. If it does it will likely be slow. Like dial-up kind of slow. Expect it. Some public restrooms cost money to use but they are usually nicer than the free ones. There may also be an attendant you have to tip. Squat toilets are not unusual. Make sure you understand where to meet the rest of the tour and what time to be at the designated area if you are on a guided tour! We left someone because he didn’t follow the guide’s instructions. Some people asked if I was worried about security and terrorism. I was not. I felt very secure the whole time. I did not experience jet lag going or coming back home.